Royal Pines is a residential recovery center that focuses on Biblical approach in the treatment of substance abuse. The recovery center is a part of the Downtown Jimmie Hale Mission, a Christian-based nonprofit organization which includes gender-specific homeless shelters, after-school Bible clubs, learning centers, recovery programs, and thrift stores. Although a big organization today, Downtown Jimmie Hale Mission had a modest beginning as its history starts in 1944 with a storefront chapel in Birmingham area. Back in time, Jimmie Hale was well-known as the town drunk, but he turned his life around successfully when he came to know Christ. The goal of the organization and Royal Pines Center is to allow patients to achieve the same. The residential recovery center is located in a rural setting which allows patients to focus on their recovery in a peaceful and stress-free area. 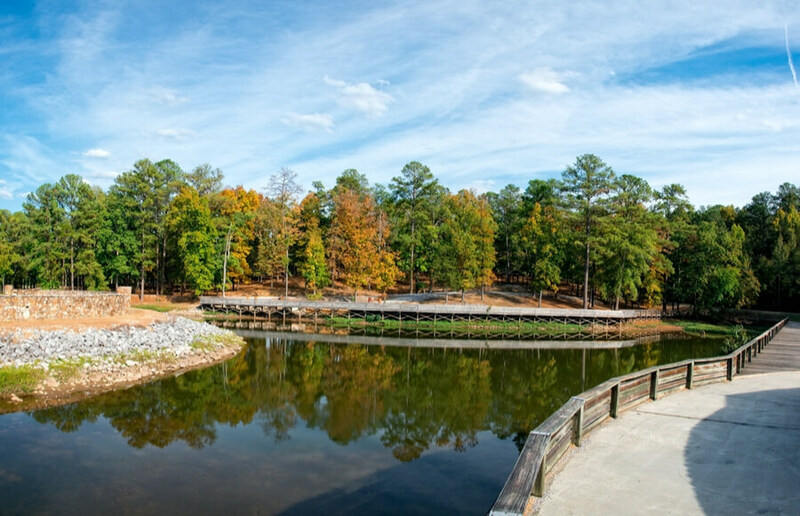 Royal Pines facility spreads over 70 acres of land about 30 miles north of Birmingham, in Hayden Alabama. The facility is large, has one story, and it is made of bricks. Up to 24 men can be treated at Royal Pines at once. Rooms have twin beds meaning two men share a single room but have their own nightstand, dresser. Interior is simple, yet comfortable. The spacious facility also includes a large kitchen, living rooms, TV, and dining room with long tables. In addition, patients get to improve their health and fitness in the recreation room where they can take part in activities such as ping pong and basketball. Of course, beautiful nature and landscape outside are great for jogging and other outdoorsy activities. While the ideal length of the program is 16 weeks, some patients may remain in the treatment up to a year if necessary. A part of a patient’s recovery is to move on from feelings of worthlessness and helplessness and enable them to experience a sense of responsibility and purpose in life. A major component of this practice is assigning jobs such as landscaping duties or working in thrift shops to patients. Not only they get more purpose and value in life, but they also learn new skills which can come handy later on. During the first 30 days, patients don’t get to receive visitors and participate in recreational activities because the goal is to help them adapt to the schedule at Royal Pines and focus on recovery. After 30 days, they get phone privileges, weekly visits, and participate in recreational activities. Due to the fact that the treatment program at Royal Pines is rooted in thorough counseling and finding Christ, the recovery center provides various therapies through which patients work on their problem and achieve recovery. Royal Pines provides individual counseling sessions as well as group therapy both of which are equally important for the treatment process. Therapists at this recovery center use cognitive behavioral therapy, but also employ motivational interviewing, and coping skills. Work therapy is also included in the program at Royal Pines Center. Royal Pines is a charitable organization and treatment at this recovery center is free. The organization doesn’t receive government or United Way funding. Their income comes from donations from individuals, churches, businesses, fundraising, civic and professional groups. This fits perfectly into the main mission of the whole organization which is to help patients find Christ and get on the road to successful recovery. Downtown Jimmie Hale Mission is a member of the Association of Gospel Rescue Missions (AGRM), and it is accredited by the Evangelical Council for Financial Accountability (ECFA). The organization is also accredited by Ministry Ventures and the Alabama Association for Christian Recovery Ministries. These certifications are a good sign that Royal Pines’ spirituality-based programs do have a major effect on the patient and the community itself. Patients who are treated at Royal Pines get a well-structured program, therapies, and education so they can overcome their problems, find Christ, and recover. Besides patient, the recovery center also focuses on their family members and helps them through these challenging times. After all, addiction affects not only a person who takes drugs or alcohol but their closest ones too. A team which treats patients with a substance abuse problem at Royal Pines consists of masters-level therapists and other professionals as well as former clients. It’s, definitely, a good thing to feature former patients into current programs mainly because they can use their own experience to help others.